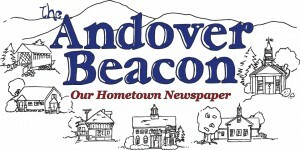 I hope residents at Town Meeting noticed that the town budget passed easily, that the Select Board, Budget Committee, and Town Administrator answered every question easily, and that those two Boards and the Moderator facilitated the progress of the meeting and treated everyone’s questions fairly. It appeared that participants were happy to move along the business of the town and enjoy the company of fellow residents. Many thanks to those who asked clarifying questions, offered reasonable amendments, and did their best to inspire trust and good will among their fellow townspeople. And just think-no snowstorm!